Due to the miniaturization of ATO brushless DC motor with high speed 5000 rpm to 17000 rpm, it can be applied in the precision electronic industry which requires higher motor size. For example, ATO small BLDC motor is widely used in laboratory devices, and useful devices require high precision motor, intelligent control, mainly using centrifuge, mixer and other equipment. Laboratory electric agitator is a test equipment for solid-liquid mixing. It has novel product design, advanced manufacturing technology, large output of low-speed running torque and good continuous application function. High-power brushless DC motor drive, CNC knob stepless speed regulator; stable operation, low noise, simple and sensitive unloading and other characteristics. At present, ATO 9000 rpm high speed brushless DC motor can achieve 42mm*42mm flange mounting surface. 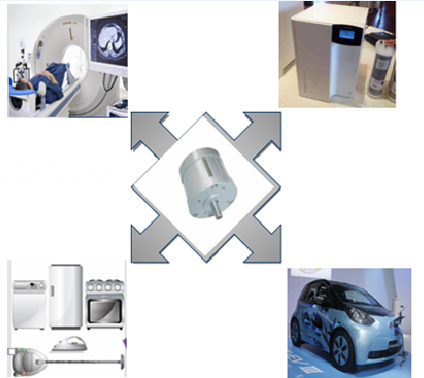 Precision electronic industries such as medical machinery, semiconductor, measurement and so on often have special preferences for such small-sized motors. Brushless DC motor has been able to replace DC motor speed regulation, VFD + frequency converter motor speed regulation, asynchronous motor + reducer speed regulation. It combines all the advantages of the traditional DC motor and eliminates the structure of carbon brush and sliding ring. It has excellent torque characteristics. Medium and low speed torque has good performance, large starting torque and small starting current, stepless speed regulation, wide speed regulation range, and strong overload capacity. Many companies in Japan have successfully applied brushless DC motors to digital cameras, miniature recorders, cameras, printers, storage mobile devices, mobile phones, automotive air conditioners, vacuum cleaners, electric vehicles, heart pumps and other fields.